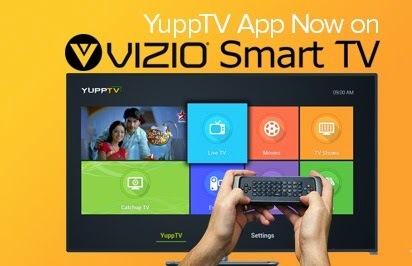 Atlanta, April 8, 2015: YuppTV today extended its reach to yet another leading American television brand by announcing the launch of its application with VIZIO, the #1 Smart TV company in the U.S. 1 VIZIO Smart TVs through the VIZIO Internet Apps Plus® platform, offering a world class broadcast experience with extensive range of options of viewing South Asian content to television viewers. YuppTV is one of the largest internet TV providers of South Asian Content. YuppTV delivers more than 200 live South Asian TV channels in 12 South Asian languages, worldwide. Users can watch live TV, 10 days of Catch-up TV and enjoy unlimited Indian movies anytime anywhere.